Without getting into the technical details, a VPN is a system that was designed to securely access private networks (such as the intranet at a company) from external public connections (such as the Internet connection at your house). VPNs are useful for getting around the Great Firewall because they encrypt your Internet connection (so that third parties can’t see your activity online) and hide your IP address (which tells where you’re connecting from). Basically, when you use a VPN, your connection will be secure and it will look like you’re connecting from a different place than where you are actually doing it. All of this lets you get around the Great Firewall and freely access the Internet. It’s important to mention that a VPN doesn’t give you Internet access (you have to have a data connection or be connected to Wi-Fi). It’s simply a system for improving the security of Internet connections. What VPN do we recommend in China? On this website, we have been using and testing different VPN services for a long time, and for the time being, for the majority of users in China, we recommend ExpressVPN. We have used this VPN for many years, and without a doubt, it’s one of the fastest services, is easy to use and is reliable. In any event, if you want an updated monthly breakdown of the VPNs that work the best in China, you can check out this complete article on the best VPNs for China. Install the VPN: It’s important to install the app and/or software of the VPN that you’ve chosen before going to China. You can do it at any time for free. The problem is that VPN websites are constantly blocked in China, and if you try to download software once you’re in China, it can be difficult at times. In addition, since 2017, the app markets for both Android and iOS haven’t offered the possibility of downloading any VPN app if the user is connecting from China. Purchase the VPN: Keeping in mind the potential problems in accessing the websites of VPN services once you’re in China, it’s a good idea to purchase the service right before traveling to China. Keep in mind that good VPNs tend to offer guaranteed money back for 30 days, so if you have any problems once you’re in the country, you’ll be able to cancel your subscription and get your money back. It’s also important to make sure that you have a way to communicate with your VPN provider in case you have problems connecting once you’re in China. Not all VPNs work in China: Although cheap or even free VPN services exist, the large majority of these don’t work in China, and their performance leaves a lot lacking. Because of this, I recommend that you choose a VPN that you can be sure will work once you’re in China. Get an Internet connection in China: Accessing the Internet in China is relatively easy. The majority of bars, cafés, hotels and airports have free Wi-Fi for customers. If you always want to be connected from your telephone, getting a prepaid SIM card with a data plan is easy and cheap. For around 200 Yuan, you can buy a SIM card (around 50 Yuan), a monthly data plan (around 130 Yuan for 1 GB) and a bit of credit for calls. All you have to do is go to a store of one of the main national operators (China Mobile, China Unicom or China Telecom) with your passport, and in a few minutes, you’ll have a new Chinese number with access to the Internet. It’s possible to access the Internet via roaming with some international telephone companies. However, I recommend carefully checking whether your company offers roaming in China, and what are the costs (they tend to be very high). Personally, I don’t recommend this option to avoid unpleasant surprises on your telephone bill. 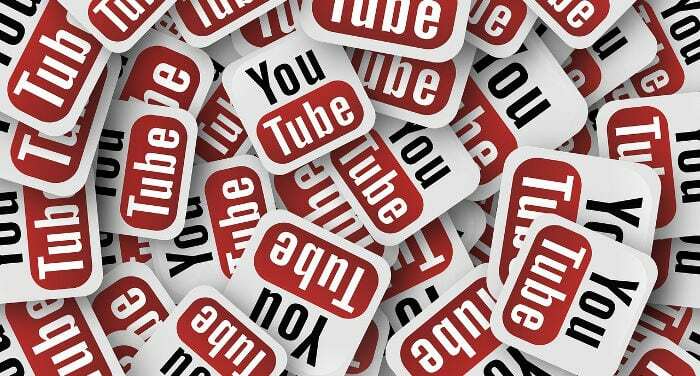 Unblock YouTube: Unblocking YouTube in China is very easy if you follow these simple steps. Connect your device to the Internet –> Close the browser or the YouTube app –> Connect your VPN –> Access YouTube without restrictions. In China, there are multiple platforms similar to YouTube, the most popular of which are Youku (优酷) and Tudou (土豆). However, on these platforms, the majority of users are Chinese, and they don’t exactly have the same functionality as YouTube. In addition to Youku and Tudou, there are many other video platforms, which means a good idea is to use the Chinese search engine Baidu (similar to Google). Its video search selection is very well organized and very useful for finding videos within the tidal wave of Chinese video platforms.